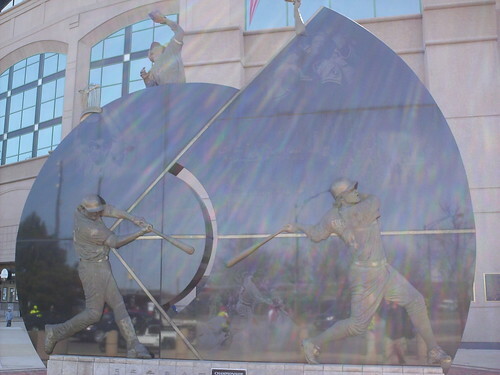 A sculpture outside the park celebrates the White Sox 2005 World Series Championship. 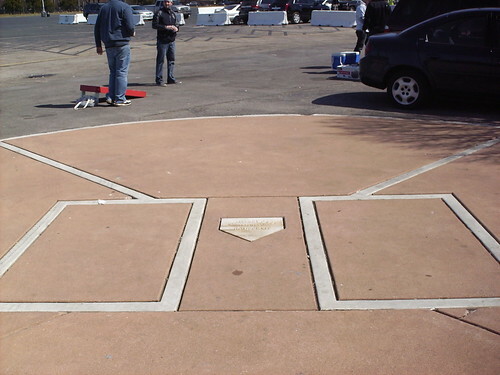 A marker in the Guaranteed Rate Field parking lot marks the spot where home plate stood in the White Sox former home, the original Comiskey Park. 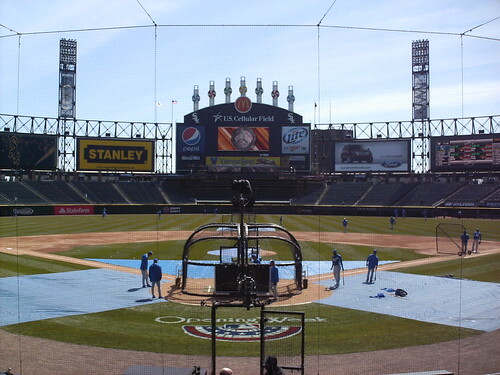 The view from behind home plate during batting practice. 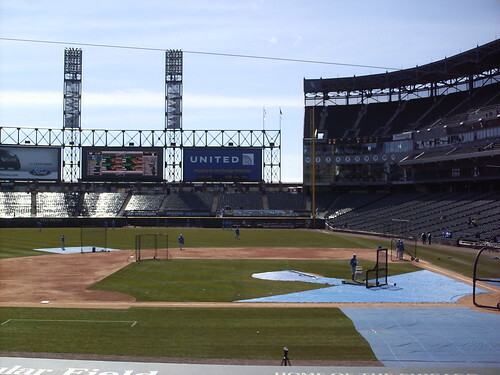 The grandstand at Guaranteed Rate Field, as seen from the fan deck in center field. 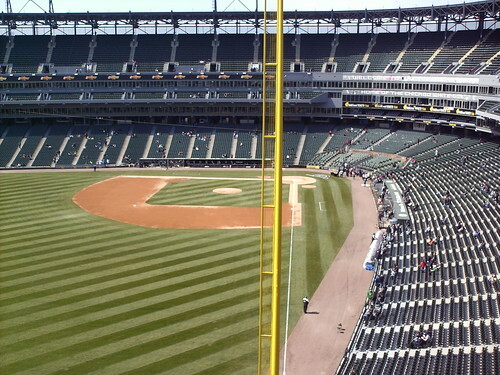 The view from down the third base line, looking toward the bleachers and the stadium club. The view from down the first base line, looking towards the FunDamentals play area. 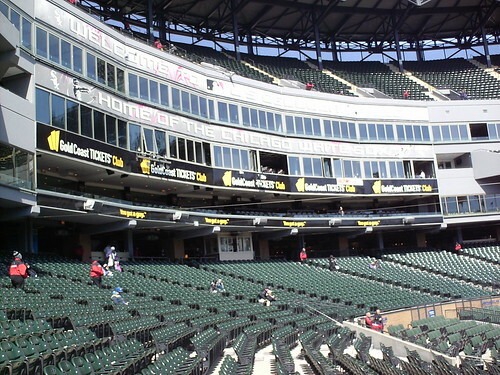 The press box and suites behind home plate. 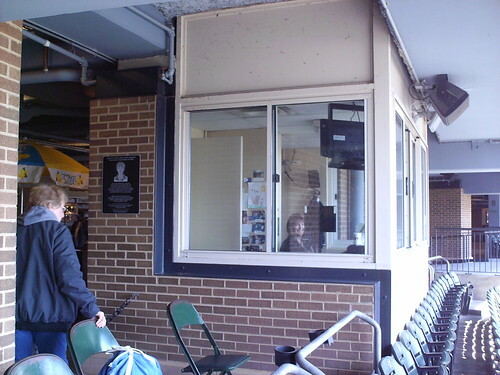 The Nancy Faust organist booth sits on the concourse behind home plate. 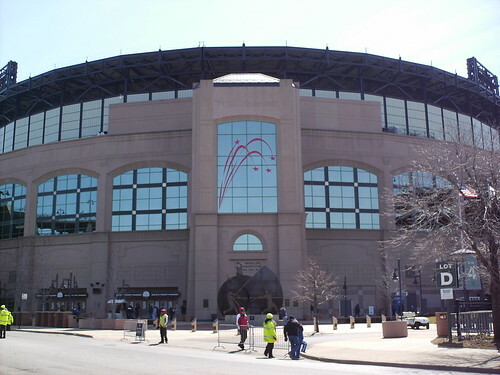 It's named for the team's longtime organist, and the team still features live organ music at select games. 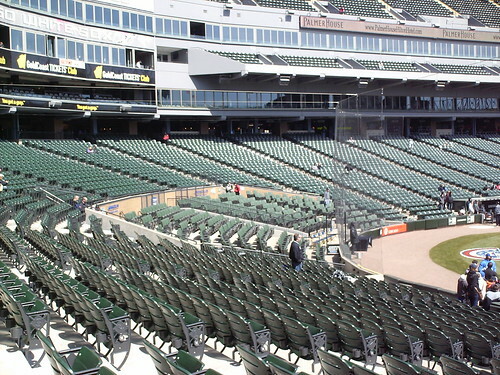 The scouts' seats behind home plate feature cushioned seats with extra leg room. 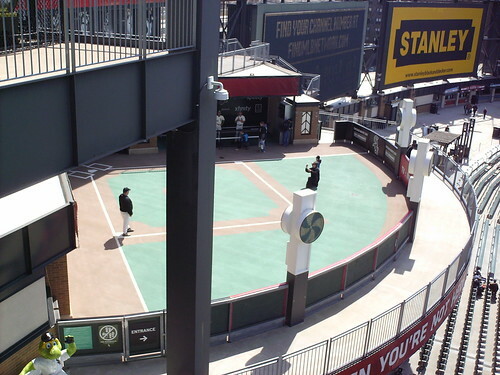 The Comcast FunDamentals area is a kids play area that overlooks the left field corner and the raised home bullpen. The play area features a miniature version of the field, including pinwheels on the outfield fence. 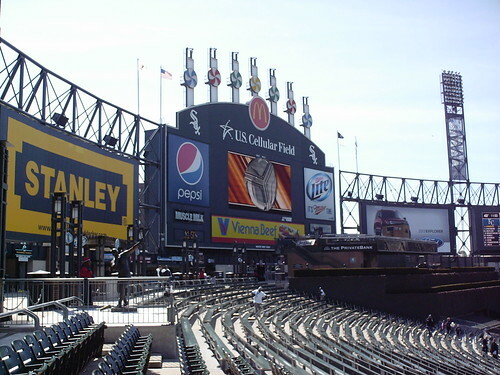 The scoreboard in center field is a replica of the old "Exploding Scoreboard" designed by Bill Veeck at the old Comiskey Park. 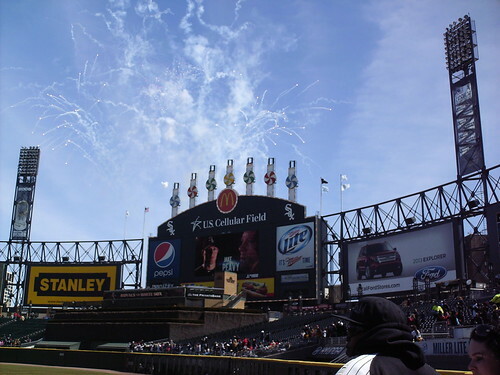 The pinwheels light up and spin and fireworks go off when the White Sox hit a home run. 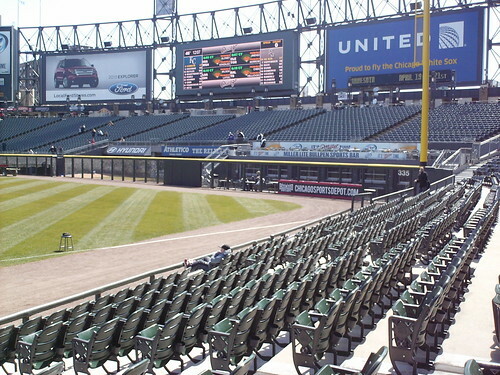 The outfield concourse at Guaranteed Rate Field. 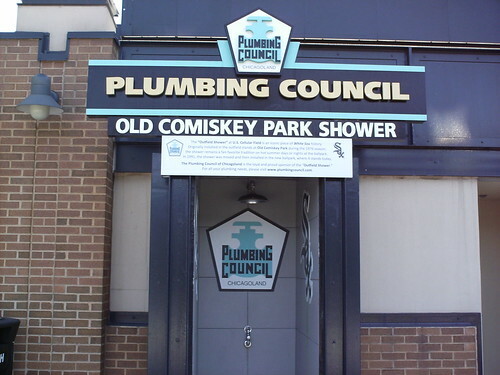 The Chicagoland Plumbing Council shower was moved from Old Comiskey park to the outfield concourse at the new Comiskey Park and offers fans a place to cool down during hot summer days. 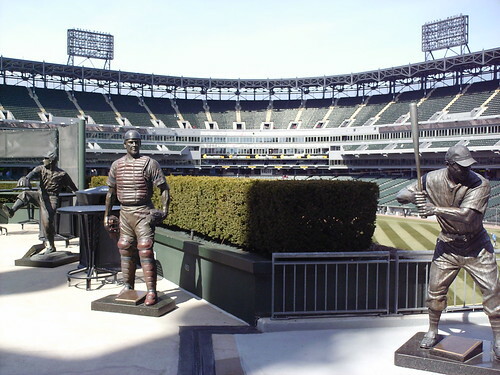 Statues of former White Sox stars, such as Minnie Minoso and Carlton Fisk, line the outfield concourse. 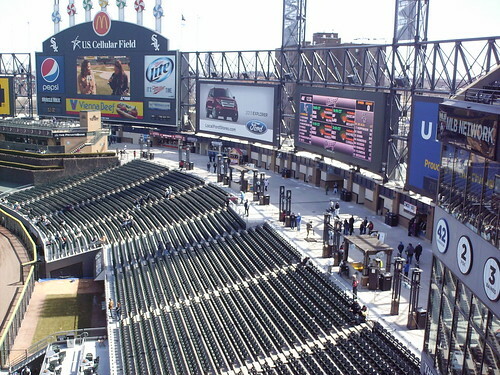 The Fan Deck in center field acts as the batter's eye and features a restaurant and standing room area for fans to gather and watch the game. 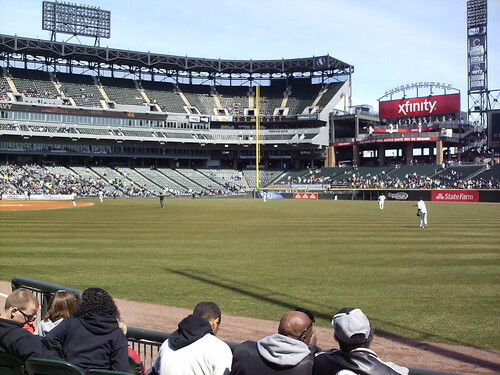 It was added to the park during renovations that were meant to make the new Comiskey Park feel less like a stadium and more like a modern "ballpark". 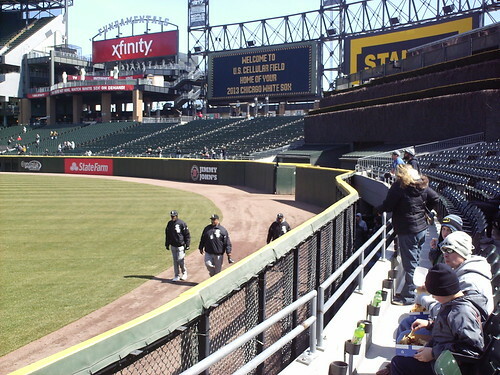 Screens in the outfield fence allow the visiting bullpen pitchers and the fans in the Bullpen Grill area to watch the game through the right field wall. 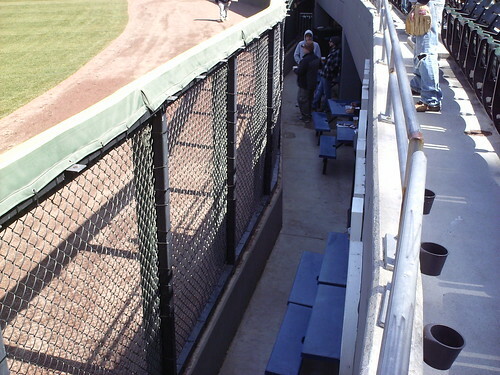 The Bullpen Grill restaurant and picnic table seating area underneath the stands offers fans a unique view of the game. 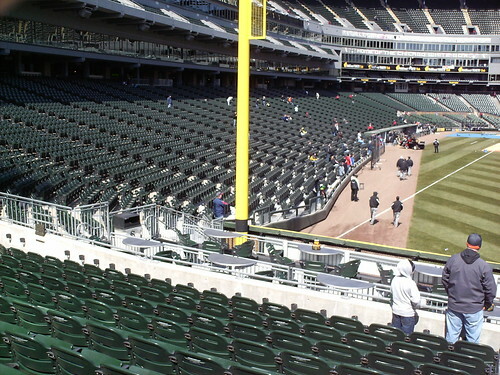 Group table seating near the right field foul pole. 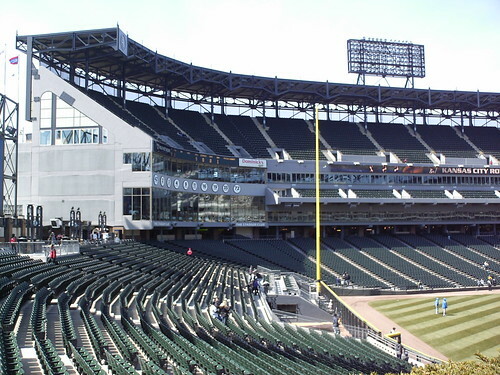 White Sox retired numbers hang on the facade of the Stadium Club in the right field corner. 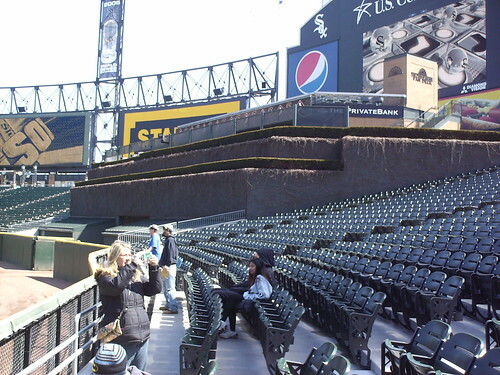 The otherwise uniform outfield wall makes a few sharp corners in center field. 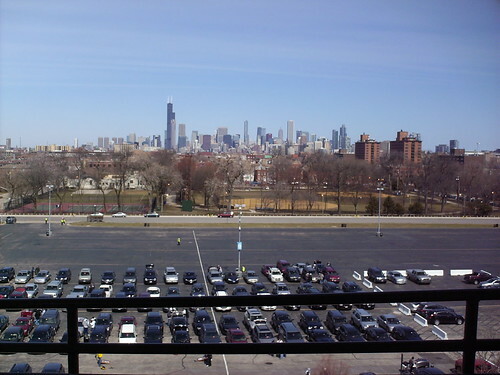 The Chicago skyline, as viewed from one of the ramps leading to the upper deck at Guaranteed Rate Field. 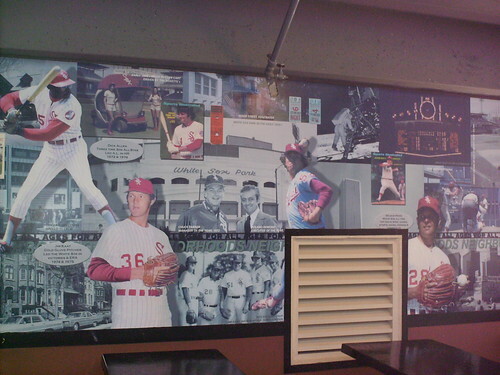 A mural runs along the upper deck concourse, showing the history of the White Sox and the city of Chicago. 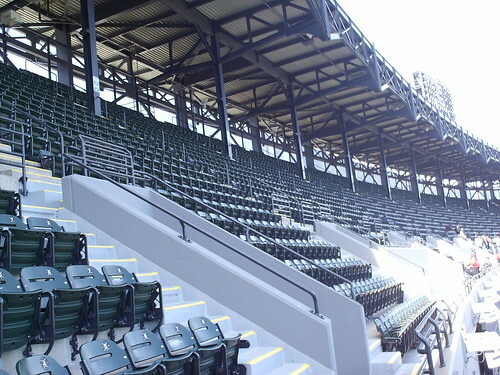 The steep upper deck was trimmed of its top few rows during the ballpark renovations and a retro styled roof was added to the park. 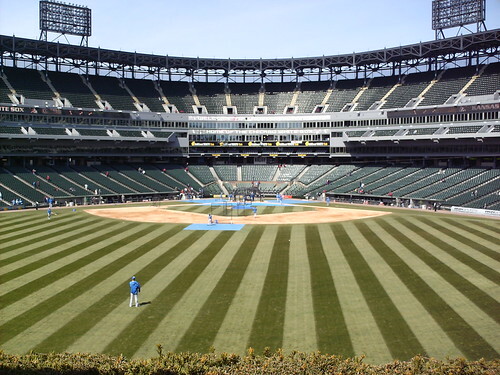 The playing field as viewed from the left field corner of the upper deck. 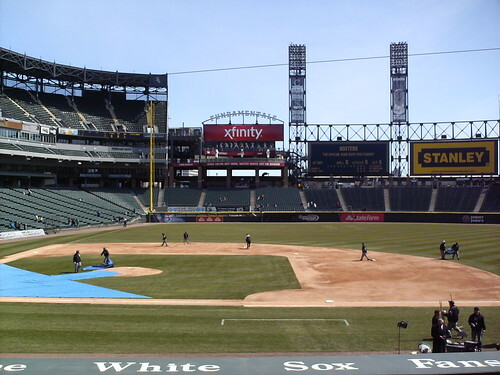 The Chicago White Sox on the field during a game at Guaranteed Rate Field. 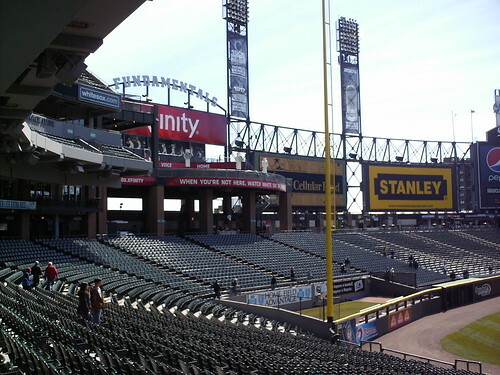 The exploding scoreboard goes off after a White Sox home run.